3D graphics are the result of work on 3d modeling. We can consider three-dimensional graphics as a special type of computer graphics, using tools and techniques for obtaining images of 3D objects, as well as managing these objects in three-dimensional space. The result of three-dimensional graphics will represent a “flat” image – a projection or as a 3d animation. 3D graphics have been widely used in cinematography and computer games. With the help of 3D graphics and 3d modeling technologies, you can create a realistic and maximally accurate copy of a real object, reduced, in full size or increased. And also models of non-existent or invisible to the human eye objects (model of the atom or the solar system). CGI graphics – the development of motionless or moving images, which are used in cinematography, on television, in the visual arts, etc. Computer animation is the creation of moving images used in computer games. The first computer games that were born were two-dimensional. Here we will draw the characters in the projection, moving only on two axes – X and Y. In order to bring these characters into action, it was necessary to draw the positions of his legs at different time periods, and then to release these frames in a circle. A classical two-dimensional game is the first Tetris. The wide possibilities of modern 3d modeling and three-dimensional graphics allowed to create completely new computer games in three-dimensional space. Three-dimensional games are more realistic and expand the boundaries of the user’s freedom (player). Computer 3D games open up new possibilities and mysterious 3D realities for the user, allow you to play the drawn 3D characters and use realistic 3D objects. 3D modeling for games starts from creating a high-poly model for the required 3D object or a three-dimensional character. 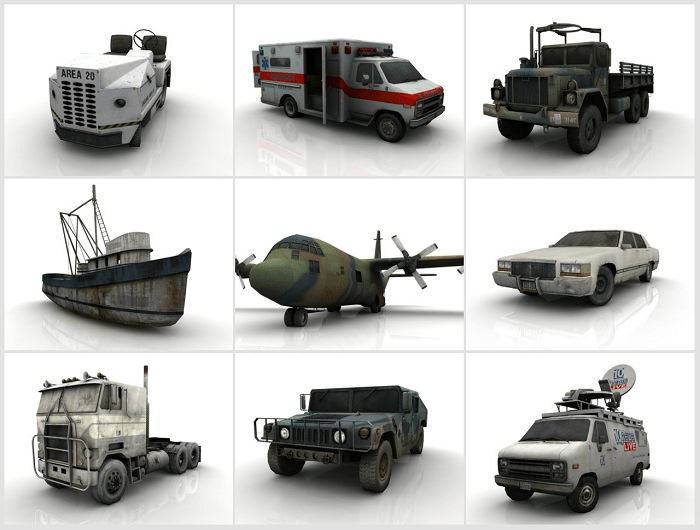 Creation of 3d models for games is carried out in such 3d programming platforms as 3D MAX, Maya. Modification of models, as a rule, will carry out in such programs as ZBrush or Mudbox. Next is the construction of a map – an image of a three-dimensional object on a plane. For this development, the artist draws textures and will apply to the model. After that, We will setup the materials to make textures more realistic – this is the final stage, after which the model is ready. However, low-polygon gaming 3d models are used in computer games, which allows lowering the requirements for software of modern computers. You can get such a model from the already created high-polygon, by copying the model at one of the simulation stages. Texture reflections – specular, etc. After all the game 3d models and textures are ready, we will export to the game engine – the software component of the computer game, responsible for the entire game process. Thus, the creation of 3d character, environment and other objects of the game will carry out. Panoramic technology – the possibility of viewing the space in 360 degrees, creating the effect of presence in three-dimensional space. 3D real-time graphics is a kind of graphics that are not visualize when creating a game, but in the form of drawings or animations right on the user’s computer. In addition, today, graphics tools are very in demand, allowing you to change the environment and environment in a short time, to increase the speed of response and movement of 3d characters. Such tools are indispensable in the creation of scenes of hand-to-hand combat, space warriors, flight simulations, etc.